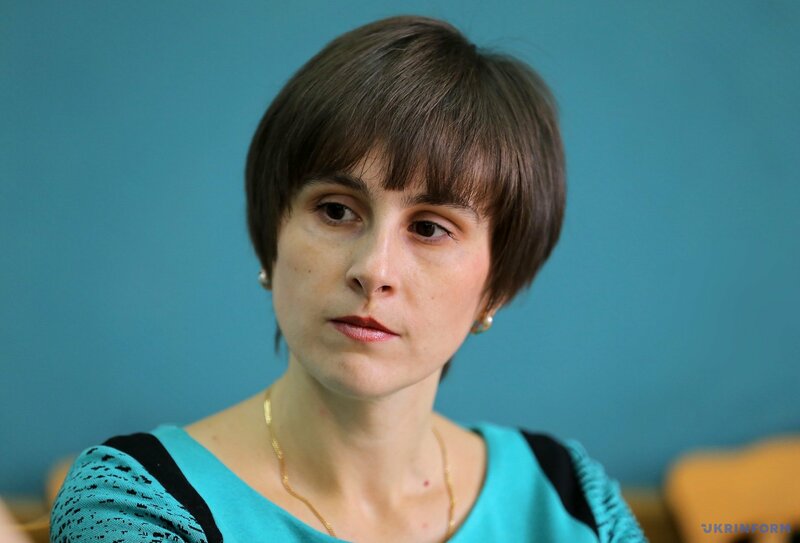 Natalia Antoniuk, Associate Professor of the Criminal Law Department of the Ivan Franko National University of Lviv, was a member of the Cassation Criminal Court, part of the Supreme Court. In her opinion, the Supreme Court must motivate its decisions so thoroughly and exhaustively so as to become a real model and authority for lawyers. She intends to join the Supreme Court in ensuring the unity of judicial practice. She thinks that in order to achieve justice it is necessary to completely abstract from how the situation is assessed in the media, social networks, from other third-party influences, not to take into account the names of the parties in the process, and to be guided by legislation and the rule of law when making a decision. During my studies at school I participated in five or six regional academic competitions. Although I occupied top places in different disciplines, the victory in the academic competition in jurisprudence was best remembered. It was at this competition that I tested the mechanism of appellate review of work, as a result of which received a higher place and saw that justice exists. So I finally decided that I would be a lawyer. Immediately, when I chose an educational institution and entered the law faculty, I dreamed of becoming a judge. Then I decided to switch to postgraduate study and work in the field of science, because, in my opinion, it is scientific work that allows you to feel the essence of the principles of law on which the entire legal system of the state is built. At the same time, I was engaged in advocacy. Such a combination of scientific and practical activity is absolutely necessary. If you engage only in only thing, there is a threat of creating an abyss between science and practice, a threat of misunderstanding of the needs of practice or rejection of the achievements of science. Without a combination of activities, science and practice can "speak different languages." My way to a judicial profession is unlikely to be called easy. Suffice it to say that I took part in a competition for judges of the courts of first instance. I successfully passed all the tests, six months of training at the National School of Judges, internship in the courts of various jurisdictions, and a qualification examination. However, I did not become a judge. Who passed this way understands how difficult it is. So the decision to take part in another competition was a bold step for me. But I believe that the state has started a new stage of development. Therefore, I decided not to observe passively for what is happening. I want my children to live in Ukraine. Therefore, it is also my task to strengthen the state and build a legal, successful and rich state. I like the Rynok Square. This is the heart of Lviv. All ancient streets lead to this place, and every building has its own unique history. Here every paving stone has preserved thousands of memories. The square is enchanting even when it rains. In the afternoon there are thousands of tourists, and residents of Lviv are running to work or going on their own way. However, this aura of the city can be seen not only on tourist routes. It is preserved on all small central streets of Lviv. So if you want to think, just go around the city, there is always an option. The old streets of Lviv inspire harmony, peace. This is an incredible way to restore vitality, efficiency, and energy. And I also like to go to the cafe, just a few steps from the law faculty. It is warm and cozy here. It's like staying at home. If the issue that needs to be addressed is serious and complicated, then I give myself time to think. But if time for reflection is not enough, I am able to collect my thoughts to successfully distribute time and make decisions quickly. Whether to consult with others depends on the complexity of the issue. If I understand that others may know more than me or evaluate the situation differently, then I definitely listen to the opinion of others. I do not see anything bad here, and I'm not ashamed to ask. However, I will make the decision myself, after detailed elaboration of all the positions that I heard, opinions expressed, and so on. If the problem does not belong to those that should be submitted for general discussion, then I will either make a decision on my own or consult with people who are close to solving it. People that I worked with or am familiar with can better say what I can teach others. However, I recall that students awarded me a diploma "Strict and Just." I try to be persistent, just and responsible. As a teacher, I try to teach students to work. They should understand the need to work out a certain sequence of work and determine intermediate stages in its implementation. I try to inspire in a person a belief in himself or herself, because contempt will destroy everything. Even if the task seems too complicated, you need to focus and think how to do it. Sound mind and constant work will lead to the desired result. I have my favorite lessons, but I have recently had not enough free time for them. Last year I had a new hobby. It is called a diamond mosaic- making pictures out of small pebbles. Now I have on my desk a big picture depicting flowers in a vase. It is three quarters fulfilled. I also like reading and embroidering. I love the theater. I regard sports only positively. I visit the swimming pool when possible. I also like skiing, although I do not really belong to the number of professional skiers. I prefer a flat and long slope, rather than a steep one. Every case of law practice is special, so I remembered almost all of them. Some have some legal nuances, problems in the application of norms. Others are not complex in the legal plan, but are interesting as a model for studying with students. There are still cases, in which I remember certain traits of defendants or victims. Since I collaborated with the center for providing free legal aid, I had to defend completely different people. Over the period of my work at the university I gave a great number of lectures. Perhaps, my own lectures should be those on the qualification of crimes against property. Sometimes I put forward some innovative ideas that were not accepted by my colleagues. Now we can say that part of the ideas that I expressed are seen as a norm. Of course, there are ideas that are differently appreciated by colleagues. Science was created to argue, prove, and find the right solution. And it is also worth noting lectures that were delivered at Jagiellonian University in Krakow. Many Ukrainian students studying in Poland attend such lectures. I am pleased that these students are interested in Ukrainian law. This testifies to their desire not to lose connection with Ukraine, and this is very important, because it is students who are the future of the country. Probably, those students studying in Polish educational institutions will return to their homeland. I participated in a competition for a Supreme Court judge, because I dreamed of becoming a judge, and I believe that there are qualitative changes in the state. The easiest thing to say is that nothing is reformed in Ukraine, and even if it is reformed, then it's bad. It is necessary to take part in ongoing processes of reconstruction of the state. We like to set the United States and Europe, as well as their judicial systems, as an example. But one must understand that what they have now was built for many years, and sometimes for hundreds of years. There will be no result if you do not work. In my understanding, the judge is an ideal, a person who knows almost everything. However, later I saw that not every lawyer, or just a citizen, has such a vision. There are many decent people in the judicial profession who give all their knowledge, their time to fairly resolve the dispute or to judge a situation fairly. However, there are people who, in my opinion, are not worthy of this profession. And I am very sorry that behind the disadvantages of those unworthy people who hold judges' positions, most citizens do not see the immense selfless work of worthy judges. If I say that I was convinced in my victory in the competition, then it's definitely not true. However, after the announcement of the results of testing, the results of a written practical task, the IQ test, my belief in a possible victory was growing every time. I heard the feedback from my colleagues, students, and friends about the competition and my participation in it. I was really surprised that so many people watched interviews with candidates to the Supreme Court. As for me, people, and above all lawyers, were surprised at how each stage of the competition was highlighted and how "different" was the selection of judges to the highest judicial institution. The decision, whether to take part in the competition or not, was complicated. I have been discussing this for several days. Then I asked my relatives about their opinions. They expressed their thoughts. But all of them said they would support any of my decisions. I fully understand the responsibility placed on a judge of the Supreme Court by the legal community and society as a whole. I repeatedly drew attention to the fact that, in my opinion, there should be a new Supreme Court. I believe that the basic principles on which the Supreme Court must build its activity are justice, professionalism, integrity, and openness. If all these principles are put into practice, we will see a qualitatively new activity of the Supreme Court. Characterizing the competition to the Supreme Court, many use the term "for the first time." And that is justified. After all, the competition itself was held for the first time, and for the first time the society had an opportunity to observe all its stages. For the first time, the contest was so open, and for the first time not only representatives of the judicial system, but also scientists and lawyers took part in it. Ukrainian society should know that such a competition that was held in our country is an example for the whole of Europe. None of the European powers have conducted such a selection. Our Polish neighbors, during the judicial reform conducted a decade ago, absolutely did not ensure such openness of every step of the applicant and the commission. When they currently talk about the failure of the competition, it would be worth looking at the experience of any European state and "trying" their model on the situation in Ukraine. I would like to hear a clear answer as to where the more qualitative selection of judges was conducted. The expectation of the result was the most difficult part for applicants. But this is natural. For the commission it was apparently the organization of each stage of the competition. They can say that in previous selections to the courts of first instance the tests were held and a written task was performed, so nothing new was invented. Allow me to disagree. I participated in the third addition selection in 2012. The level of information through the website of the Higher Qualifications Commission of Judges of Ukraine, through social networks, the level of organization during the identification of the participant, the receipt of documents, familiarity with the dossier, are simply amazing. If such an organization of work, such a functioning of the mechanism of cooperation between institutions and citizens is achieved in all institutions in the state, then we can only welcome this. As for participation in the following competitions, I would say to colleagues: "If you feel strength and understand that there will still be a lot of work, if you are ready to leave the comfort zone in which you are and believe in justice, of course, you should take part." The state needs efficient, responsible judges who have the courage to say that they will be able to administer justice and will really confirm this in practical work. It is not necessary to say that people who have not yet worked in the judicial system cannot cope with their work. Each of the winners of the competition, regardless of their age, has a great deal of life experience. Everyone tried on both successes and failures. Let's first see how the updated mechanism of the Supreme Court works, and then we'll draw conclusions. Each reform gives results in a few years. Reform in real life is not a circus trick or a computer game. First of all, it is necessary to work, to "start" the changes and after a while they will be obvious. The judicial reform requires a corresponding participation of society. Everyone who goes to court must understand that there is a law. This law is one for all, regardless of whether you are directly involved in the trial, or you can potentially go to court one day. If citizens take a clear position and will not look for ways to obtain lucrative court decisions, then the restoration of the judicial system will happen at a faster pace. There is no absolute trust in the court in any country. This is natural. One of the parties in the process is always dissatisfied with the court decision. However, citizens who have never been in court and who have never tried to prove their correctness should not argue about total corruption. If you have facts, do not be silent, and respond in accordance with the law. Help clean up the court system. I believe that every citizen can feel the changes tomorrow if he or she starts today and fights any manifestations of corruption in the regions. The qualitative work of the Supreme Court from the very first days will also be an indicator of changes in the justice system in Ukraine. The reduction in the number of cases at the European Court of Human Rights, the clarity of practice, and the reasoning of the decisions of the cassations court are the first "litmus test" that will show qualitative changes in the judiciary. I am convinced that in a few years we will see another model of the work of the Supreme Court, and we will see a general positive result - an increase in the level of citizens' confidence in the courts. Natalia Antoniuk was born in the town of Zolochiv, Lviv region, on July 28, 1981. In 1998, she graduated from school with a gold medal. She immediately entered the Law Faculty at the Ivan Franko State University of Lviv. For success in studying, she received a scholarship from the President of Ukraine, a scholarship from the chairman of the regional state administration. In 2003, she received a Master's degree in law with honors and immediately started postgraduate study at her university. In 2006, she defended her thesis in the criminal law, criminology, criminal-executive law (12.00.08). She was awarded a scholarship of the head of the Lviv Regional State Administration as a young scientist. In 2011, she received the academic title of associate professor. Now she works on doctoral research. She has repeatedly participated in international internships, scientific exchanges, conferences and other events. In particular, she trained at the Wroclaw, Jagiellonian and St. Petersburg universities. 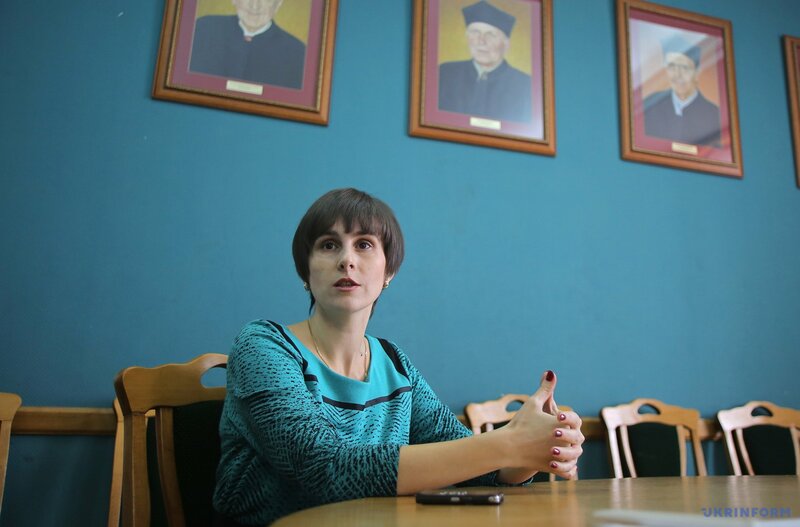 Before election as a judge of the Supreme Court, Natalia Antoniuk combined scientific and practical activities in the field of law, working as an associate professor of the Department of Criminal Law and Criminology of the Ivan Franko National University of Lviv and being engaged in individual advocacy. 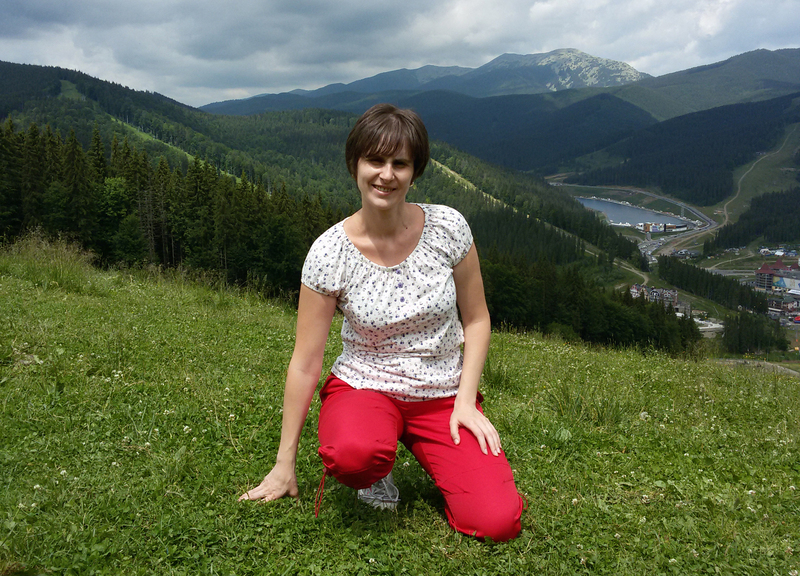 She is a member of the Academic Council of the Law Faculty of the Ivan Franko National University of Lviv. The rector of the Ivan Franko National University of Lviv awarded her a diploma for her significant contribution to the development of the Lviv School of Law, active pedagogical activity and state-building public opinion. In 2016, she took part as a scientist in the competition to the Cassation Criminal Court, part of the Supreme Court, and in 2017, she became one of the winners.